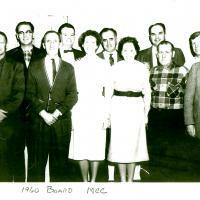 A black and white photo of the Maynard Country Club Board, dated 1960. Pete MacKay, Frank Silkonis, Jack Cunningham, Tom Duggan, Jack McGrath, Midge Lunny, Frank Croft, Kay Murray, Wassy Chernak, Tom Chidley, Bob Tobin, and Jack Mullaney. 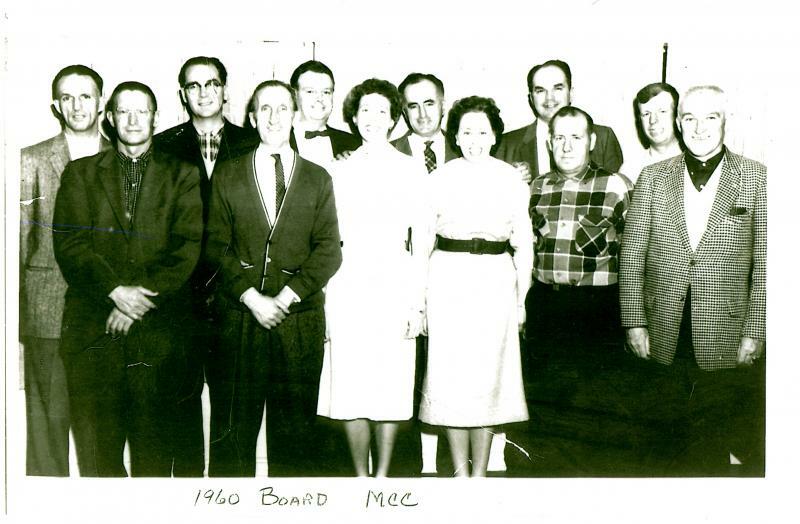 “Maynard Country Club Board - 1960,” Maynard Historical Society Archives, accessed April 23, 2019, http://collection.maynardhistory.org/items/show/6606.